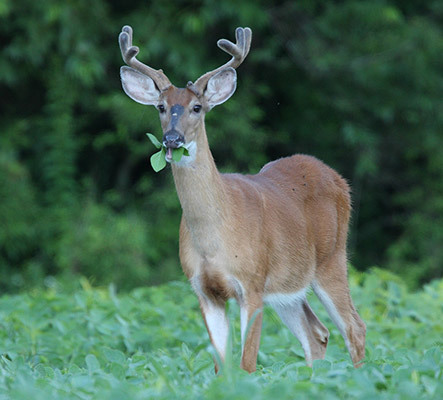 During the latter half of 2017, Maryland Farm Bureau worked with the Department of Natural Resources (DNR) on some possibilities to address the increased crop damage from deer. In those meetings, one tool that was discussed was the Deer Cooperator Permit. Recently, the Maryland Department of Natural Resources staff rolled out the new Agriculture Deer Cooperator Permit (DCP) at a workshop hosted by the Maryland Farm Bureau. Click here to learn more about the permit. Learn more about our plans to reduce crop damage. Click here to view a video of deer damage in Charles County. Click here to view photos of crop damage in various MD counties. Click here to view a video of Sika Deer in Dorchester County.